A full woodland inventory provides fundamental background information for use in woodland management planning. And alongside ecological assessment, data collection is one of the most important aspects of this appraisal. Also called mensuration, collection of basal area and stand volume data is necessary to begin the process of planning for the longer term. This measuring provides information on how many cubic meters of timber or tonnes or firewood there are in woodland compartments. It forms an important part of grant applications, budgeting, marketing, contract management, and production forecasting. 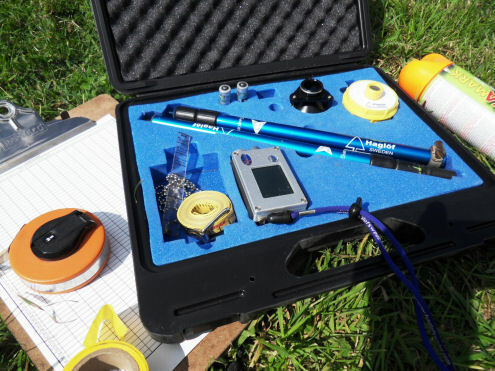 Clive Ellis is trained in the process of basal area surveying and plot sampling. Using the professionally trusted Haglof Vertex Hypsometer, survey work is accurate and fast. Collected data is transformed into volumes and weights through stratified sampling methods where necessary, giving confidence in results.